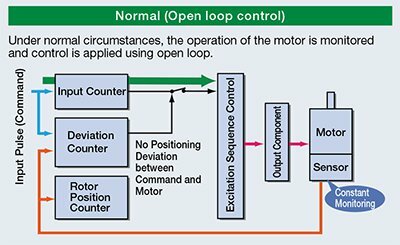 Motors offer excellent controllability and are therefore used as the drive sources of various automated equipment. 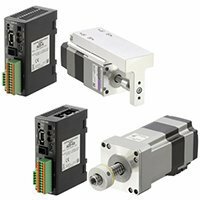 In many cases a stepper motor is combined with various mechanical components such as a ball screw, belt and pulley, and rack and pinion to convert the motor rotation to a different type of motion needed to drive the equipment such as a linear actuator. 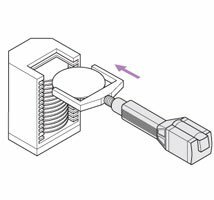 Oriental Motor has various linear actuators consisting of a stepper motor assembled with the necessary mechanical components to meet the various needs of automated equipment. 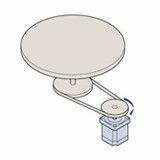 The actuator is very stable when operated, even at low speeds. It also offers smooth acceleration and deceleration operation. Motions can be programmed with multiple stopping points. 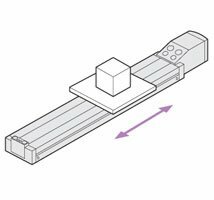 With a linear actuator using a stepper motor, adjustment of position and speed can be performed easily using data. Setup change is also simple, as you need to do is change the data. 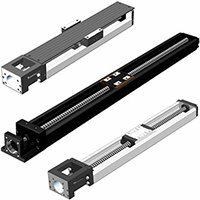 A broad lineup of AlphaStep motorized linear slides designed for greater ease and higher performance in positioning applications. 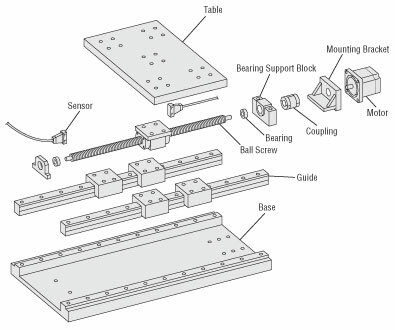 Featuring a stepper motor combined with linear slide. AlphaStep motorized cylinders for positioning even heavy loads, ideal for applications where the load is pushed or pulled. 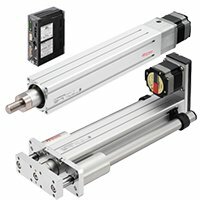 Featuring a stepper motor with a linear cylinder assembly. 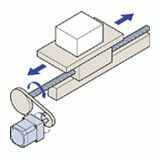 The THK linear actuators consist of a highly rigid outer rail with a U-shaped cross section, LM Guide units on both sides and a Ball Screw unit in the center. A compact actuator designed for high positioning accuracy and high thrust force. 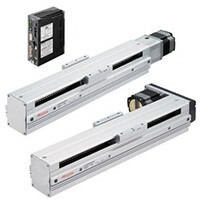 Featuring a stepper motor combined with linear motion assembly. 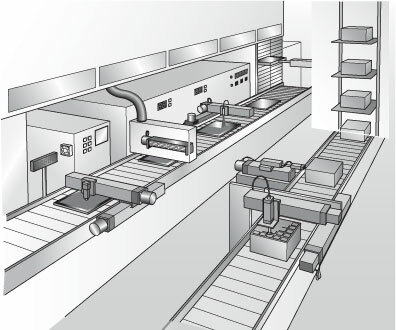 When automated equipment is designed, various factors must be taken into consideration including the production line layout, installation environment, ease of maintenance, configuration of electrical wiring and control system, and so on. This means many man-hours are needed to select the motor and other mechanical components and create a parts list, drawings, operating manuals and the like. Use of linear and rotary actuators can reduce this time and offers additional benefits. 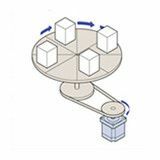 The primary feature of automated equipment is its ability to implement a series of basic operations such as "transfer", "push" and "rotate." 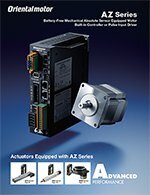 In other words, you can design automated equipment by selecting and combining linear and rotary actuators capable of performing these basic operations. 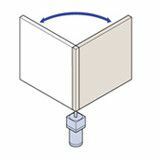 Since all you need is to select an actuator, you can save the time and effort. When building equipment in-house by assembling a motor and mechanical components (see illustration), the quality of assembly affects the traveling resistance and position accuracy, therefore ultimately adjustments will be needed to achieve the expected operating performance. 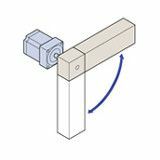 On the other hand, our linear and rotary actuators are complete products guaranteed to provide the specified operating performance, so use of linear and rotary actuators reduces adjustment work and ensures uniform quality. 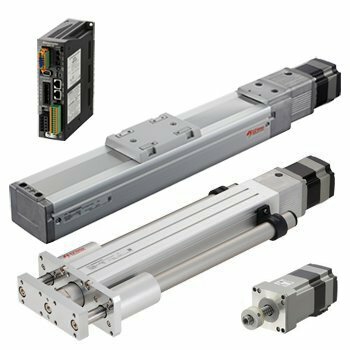 Oriental Motor offers various linear and rotary actuators to help you improve your design productivity. 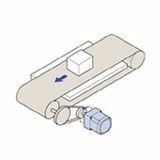 The motor is integrated with a linear motion mechanism which makes this actuator ideal for transferring loads. 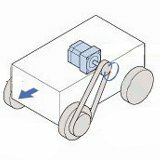 The motor is integrated with a linear motion mechanism, which makes this actuator ideal for pushing and pulling loads. 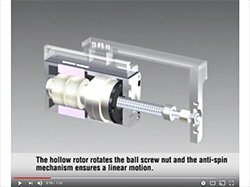 A stepper motor is integrated with a ball screw. 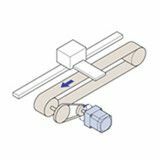 An ideal actuator for pushing and pulling small loads or fine-tuning applications. 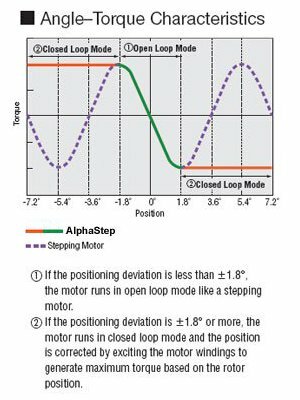 AlphaStep products are stepper motor based hybrid motors with a unique hybrid control system combining the benefits of "open loop control" and "closed loop control". 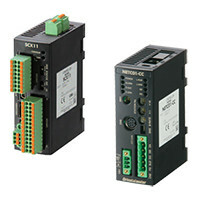 The position of the motor is always monitored, and then the driver automatically switches between 2 types of control depending on the situation. 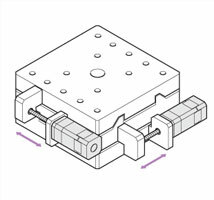 By utilizing the high responsiveness of the stepper motor, moving a short distance for a short time is possible. The motors can execute commands without lag. Because it is normally operated with open loop control, positioning is still possible without gain adjustment even when the load fluctuates due to the use of a belt mechanism, cam or chain drive, etc. It operates synchronously with commands using open loop control during normal conditions. 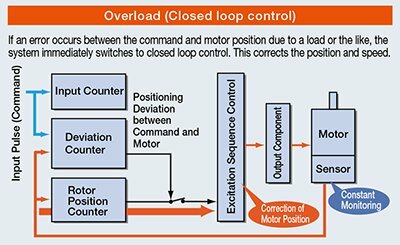 In an overload condition, it switches immediately to closed loop control to correct the position. 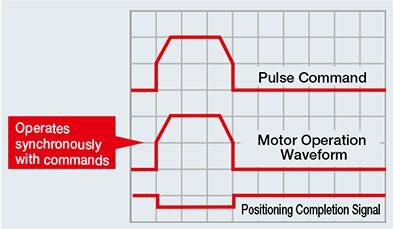 If an overload is applied continuously, an alarm signal is output. When the positioning is complete, and END signal is output. This ensures the same level of reliability as a servo motor.